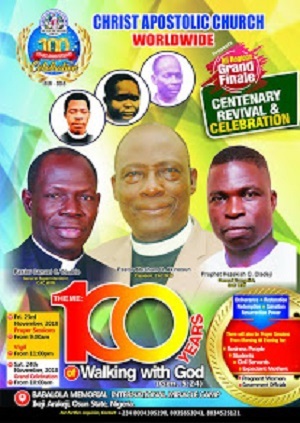 Following the successful holding of the centenary anniversary of the church, the authority of Christ Apostolic Church Worldwide has directed all assemblies in the mission to hold three Sundays of special thanksgiving service. 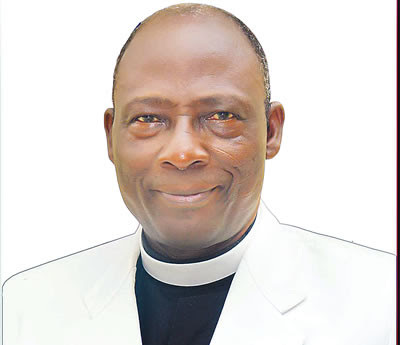 In a circular signed by the General Secretary of CAC Worldwide, Pastor E.E. Mapur, the Lord has directed that the church should observe a special thanksgiving for three Sundays in December, 2018. 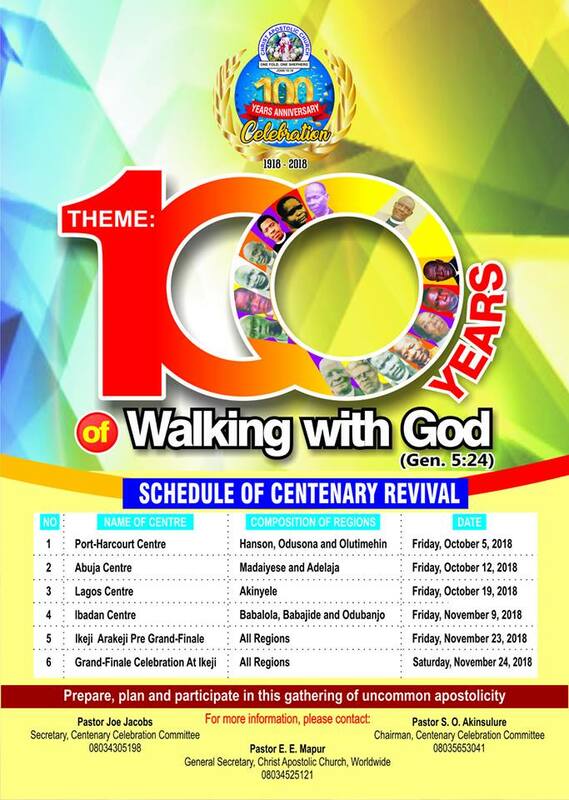 Pastor Mapur stated further that God ordered the church to praise Him for the successful centenary anniversary and for success of 2018 church programmes at all levels. According to the General Secretary, the three Sunday special thanksgiving will be observed during usual Sunday services on December 16, 23 and 30 2018. Other necessary details regarding the programme are contained in the circular which will be sent to all Regional Superintendents, DCC Superintendents, Zonal Superintendent and District Superintendents.